Gateway Park Campground is currently a 99 site facility with 4 cabins and one rental trailer. 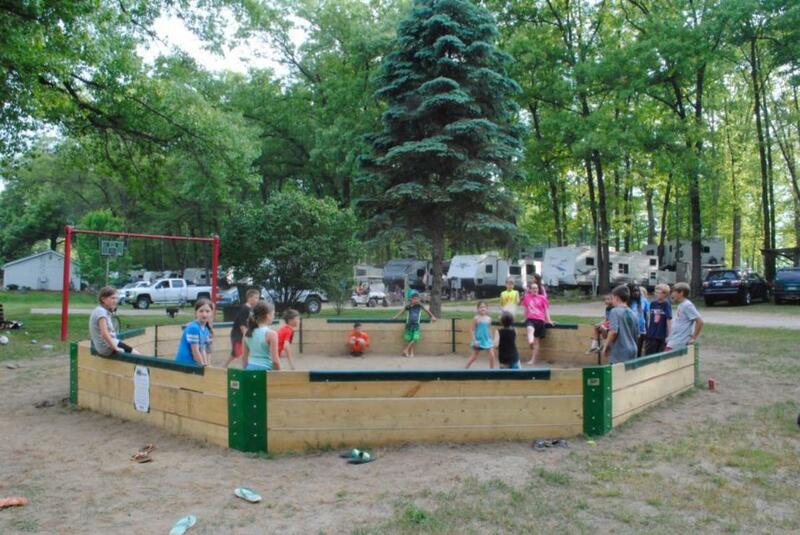 We are a family campground; family owned and operated and we cater to families. The campground is located on South Sand Lake (all sports lake, great for fishing) in Hillsdale and it is believed that we got our name because we are at the Gateway to the Irish Hills here in Michigan. April 14 & 15- Opening Weekend/ Come celebrate Easter at GPC ? October 13 & 14- Button down the hatches weekend- Closing weekend join us for snacks Saturday evening to say good bye to all your fellow campers ?